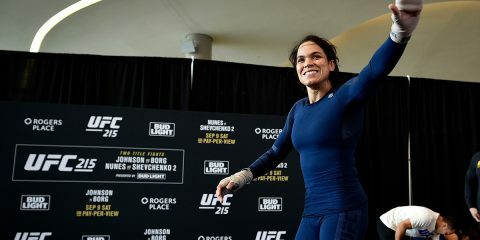 UFC 215: Who’s Next for 'The Lioness'? Ah, these are the famous words of Jedi Master Obi-Wan Kenobi, as he explains to Luke Skywalker the underlying premise of the entire Star Wars saga. In the saga, Jedi is a reference to a monastic organization in which the members represent charity, citizenship and good deeds. They represent the positive application of the Force. However, there are two sides to every coin. The negative, or “dark,” side of the Force is manifested in the order of the Sith. The Sith is also a monastic order, but one that represents human desire, passion, individualism and, ultimately, power. The Jedi and the Sith are on opposite ends of the spectrum. Star Wars is an amazing story that has drawn millions, if not billions, of fans over its 40-year history. It is a story that successfully blurs the lines between good and evil. The Force is a powerful phenomenon, but, like any spiritual presence, it is at the mercy of the human condition. In life, children are the rawest form of the Force. The undeveloped mind starts from scratch. With no outside influences, it is interesting to watch how humanity manifests itself in different people. Parents of multiple children get a firsthand view of the human condition’s effect on the Force. 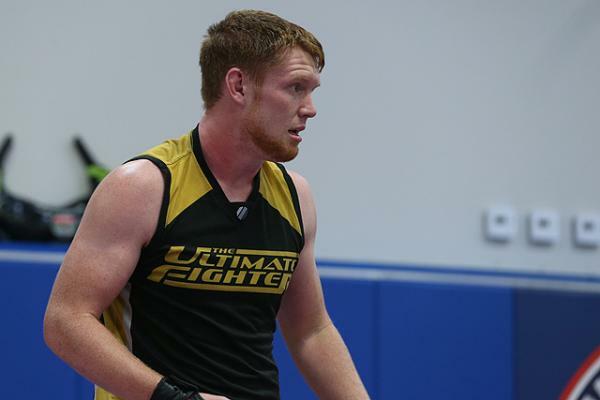 Almost two years ago, UFC middleweight “Smile’n” Sam Alvey and his wife McKey (nee’ Sullivan) welcomed their first child — a little girl named Reagan — into the world. Working at the daycare at Dan Henderson’s Team Quest, Alvey had been around kids many times in the past, but it was a 50,000-foot view. That all changed when they had one of their own, and it was a learning experience for everyone. All children are different. Reagan was a wonderful infant, but, at times, she definitely posed her challenges. But, when someone is a new parent, it can be difficult to see just how challenging that child is without anyone to compare her to. One of the central characters of Star Wars is Anakin Skywalker, a child who would later become a Jedi Knight, but eventually succumbed to the dark side of the force. In the third episode of the saga, Anakin was transforming from a Jedi into the Sith Lord known as Darth Vader. He was letting his worldly desires take over his life and he chose the path of the Sith. However, as the transformation was taking place, he had two children, twins Luke and Leia, with his somewhat-forbidden love interest, Queen Padme Amidala. At the birth of the twins, Amidala passed away and the twins were split. In the fourth through sixth episodes, they were reunited, and they couldn’t have been more different people. Luke was more aloof, learning the good ways of the Force, but also letting his passions dictate some of his decisions. Leia held a hard line toward the positive side, and she did not let outside desires get in the way of her drive toward good deeds. Alvey saw similar differences after his wife gave birth to their second child last fall. About two weeks prior to Halloween, the Alveys welcomed their son, Ival, into the world. It didn’t take long to see some contrasting personalities. Alvey loves both of his children equally, but all kids are different. Some are challenging and some, not so much. The Wisconsin native is a huge Star Wars fan, as are most Midwesterners around the same age, so it was easy to draw a comparison. “Reagan is a Sith, and Ival is a Jedi,” Alvey said jokingly. Obviously, the Alveys do not feel that their daughter is evil, but, as every parent knows, some kids are a little bit more of a handful than others. Both of Alvey’s children will be ringside as he journeys back to familiar territory on Saturday night. Alvey has had an amazing run over the last six months. In August, the former contestant of season 16 of The Ultimate Fighter finally made his Octagon debut, but he dropped a unanimous decision to Englishman Tom Watson. 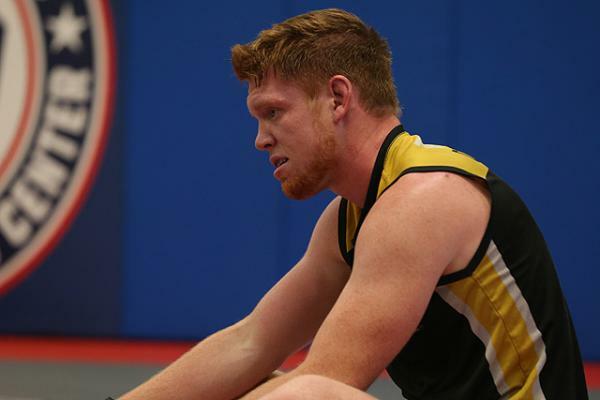 However, in November, he came back with a first-round knockout of fellow TUF alum Dylan Andrews on his opponent’s home turf in Australia. 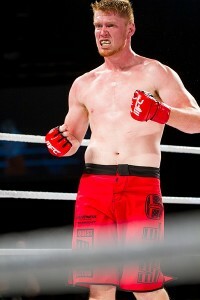 Then, Alvey showed up again in February, cold-cocking TUF Brazil winner Cezar “Mutante” Ferreira in the first round in Mutante’s native country. Alvey has clearly harnessed the power of a Jedi, as he is now traveling the world and disappointing TUF alum in their own respective homelands. After his win over Mutante, Alvey asked for another Aussie. The UFC brass was very accommodating. 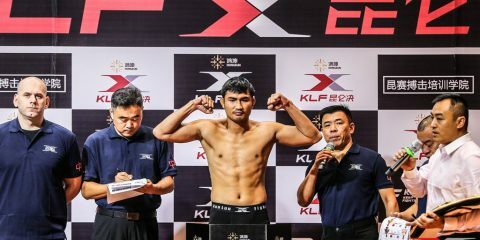 Tomorrow night, he will face Australian Olympic judoka Daniel Kelly as part of the UFC Fight Night 65 event at the Adelaide Center in Adelaide, Australia. During season 16 of TUF, Alvey was competing as a welterweight, which is much too low for him. He was weak and not fighting like himself. 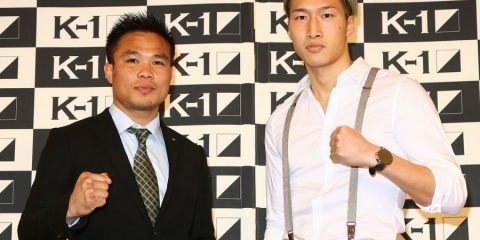 After the reality series concluded, he went on a 4-1 run, including a strap under the Maximum Fighting Championship banner, before getting the call. As a middleweight, he has been dominating people left and right. Kelly is no pushover, though. Kelly competed in four Summer Olympic Games between 2000 and 2012. While his highest placement was seventh, he was still good enough to compete at the Olympic level. 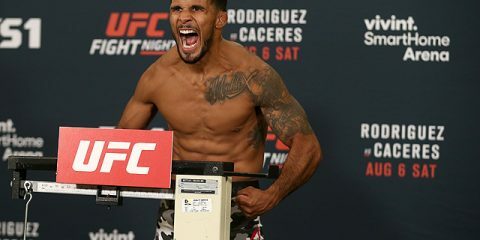 While Kelly may seem like a daunting opponent for a guy who is largely considered a striker, Alvey has no concerns, as he trains under Pan-American gold medalist wrestler Dan Henderson. Hendo is Alvey’s Obi-Wan. “I’ve got a lot of assets at my gym, and, of course, my last two fights have been the highest profile,” Alvey elaborated. “I’m sure he knows I hit hard, and I’m sure he doesn’t want to test how hard I can hit. He’s got that judo background, and I’ve been training for his jiu-jitsu and his judo. If he gets it to the ground, I’m going to be great off my back. Alvey loves going into hostile territory and taking out the hometown guys. So, to the hometown fans, he could easily be viewed as the Sith, or the villain. However, in MMA, this is not necessarily a bad thing. Alvey’s daughter, Reagan, might be the Sith of the family, but that is a balance that everyone needs. While good deeds and charity are idealistically what people should strive for, passion and personal drive are what bring balance to the universe. There wouldn’t be a dark side of the Force if it wasn’t necessary. And, as usual, Alvey’s whole family, the Jedis and the Sith, will be in his corner once again as he looks to disappoint hometown fans. Sam Alvey loves Star Wars almost as much as he loves knocking people out. Above all, he loves his family and knows that they bring balance to his world. The Force is strong with this one.